Lenovo is steering clear of smartphone launches at MWC this year, but it has gone ahead and added two new laptops to its Yoga portfolio. 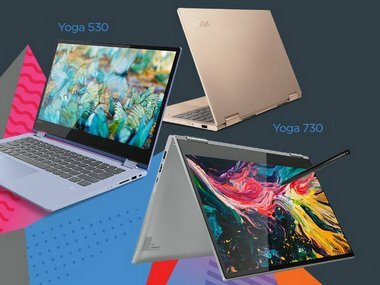 The Yoga 530 and the more premium Yoga 730 laptops are claimed to be among of the first laptops to feature Amazon's voice-controlled virtual assistant, Alexa. Both of Lenovo's new laptops feature far-field microphones which allow Alexa to be triggered via the user's voice commands. The built-in microphones also allow Cortana to be triggered using similar voice commands. The Yoga 530 and 730 can be used in three different modes, including a tablet mode courtesy of the 360-degree hinge, which is characteristic of the Yoga lineup. The Yoga 530 comes with a 14-inch UHD IPS touch-enabled display and boasts of a battery life which is claimed to be close to 10 hours on a full charge. The laptop can be configured with Intel's 8th generation Core i7 series processor and up to 16 GB of RAM. 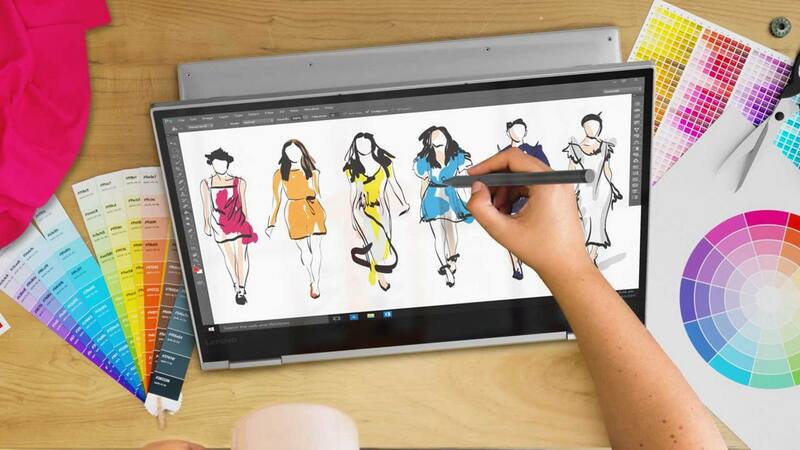 The Yoga 530 has been priced starting at EUR 549 in European, Middle East and African markets. The Yoga 730, on the other hand, comes in two variants — a 13-inch variant and a 15-inch variant. Similar to the Yoga 530, both 13-inch and 15-inch variants can be specced up to accommodate Intel's 8th Generation Core i7 processor and up to 16 GB of RAM. However, the SSD storage on the 13-inch model is capped at 512 GB, while it goes up to 1 TB on the 15-inch model. The larger 15-inch variant can also be bought with a Nvidia GTX 1050 GPU which is not available on the smaller model. 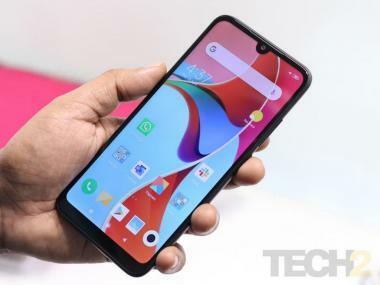 The larger variant can also be bought with an upgraded 4K display. The 13-inch Yoga 730 starts at a price of $879 while the 15-inch variant will start at $899.